Marketing is not just managing campaigns, data warehousing and social media engagement. Marketing is about connecting everything to do with revenue and finding the best growth opportunities, not just the relevant dialogue and making the right moves with all of our marketing investments, not just running better campaigns. Digital Marketing is probably one of the most misunderstood terms in modern marketing world. Digital marketing is often used interchangeably with Online Marketing or Internet Marketing. Are we doing “Digital marketing” or marketing in a Digital world ? In this post – we try to understand the real meaning of Digital Marketing & its place in marketing. Lets first understand : What is Digital? Digital refers to the use of hardware, software and computer network to interconnect, store and process digital information in binary language(0’s & 1’s). It is often called computer system in short. Digital is a 2 way communication highway that runs with the help of computer network. The word “Media” is plural – and is essentially a tool to communicate with more than 1 person across distances at once. Media communication channels by which entertainment, education, news, data, or ads messages are made possible. Traditional examples of Media include magazines, newspapers, books, film, radio, and TV which is largely a form of one way communication(read mass broadcast) an Ad. So is Digital Media = Digital Tools? Not exactly. Radio is analog, but if you put it in the cloud – then it is a digital. Similarly if you let users access Newspaper on a tablet – it becomes Digital. But to call something as “Digital Media” – it should allow “2 way interactivity” between “a large group of people”. Modern electronic mediums used for 2 way communication such as blogs, video sharing portals, social networks, webcasts communities etc are perfect examples of Digital Media. With Digital Media, just like Traditional Media – you can still send the same message to a large group of people. But you can have personalized interactions with your audience which can be collated and measured to study the audience reaction, likes, sentiment and various other factors. Hence this leads to better targeting and better campaign results. So lets derive: What is Digital Marketing? Digital marketing is building awareness and promoting products or services to people who use Digital Devices (such as PCs, smartphones, tablets and game consoles) to access Digital Media. In Digital marketing – marketers use digital channels such as websites, e-mail, apps (web and mobile) and social networks to promote message( in the form of Blog, Case study, Ad, Video, Info-graph ) to their target audience. 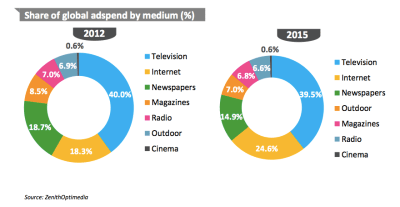 How Digital Media different from Traditional Media? Traditional Media aka Mass Media let marketers deliver the same message to many people at once. There is a 1 way communication but they don’t provide any return messages. This makes them really difficult to track and measure when it comes to improving marketing effectiveness. Digital Media delivers a 2 way form of communication between the audience and the advertiser – this means instead of broadcasting, advertisers are beginning to engage with their audience. 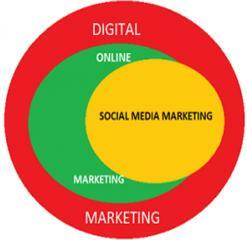 How Digital Marketing is different from Internet / Online Marketing? Internet marketing is a part of digital marketing and the most important component of digital marketing as all the major activities fall within the boundaries of Internet marketing. 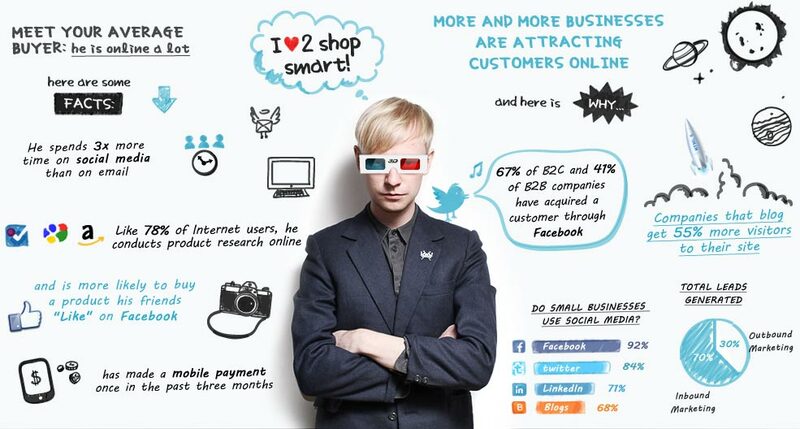 Online / Internet Marketing channels – Web, SEM (Search engine marketing aka PPC advertising), smartphones, mobile markets (i.e. Google Play, Apple Store), online banner advertising, email marketing, and Social Media. Non-Internet Digital channels – Digital marketing extends beyond Internet / Web Marketing by focusing on channels that do not need the use of internet such as mobile phones mobile, mobile apps, instant messaging, smartphones, display / banners. With the advent of Big data Analytics for Digital Marketing – online profiling of visitors and repeat customers has become precise and actionable with the help of Marketing Automation software such as Marketo, Hubspot and Adobe Marketing Cloud. Big Data for Digital Marketing will help marketers develop highly targeted and personal Ad messages to boost their marketing efficiency and ROI. Is Digital Marketing a right choice after your education?